We want everyone with a mental health problem who visits their GP practice to get the support that best suits their needs. For most of us, our local GP practice is the first place we’ll go when we’re unwell. It’s there to help us with our mental health as well as our physical health. In fact, around one third of all GP appointments are related to mental health. However, it’s not always easy having that first conversation about your deepest feelings with your GP, someone you may hardly know. That’s why Mind have made a short film and guide on how to make the most of the few minutes you have with your GP or practice nurse. 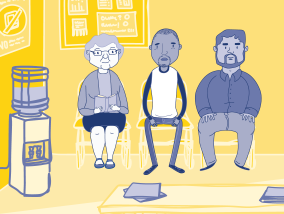 Click here to watch Mind’s animation on how to find the words to talk to your GP about your mental health. 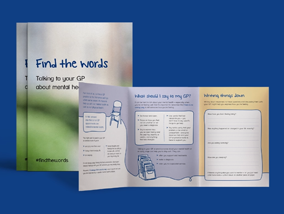 Click here to download Mind’s guide on how you can prepare to talk to your GP about your mental health. 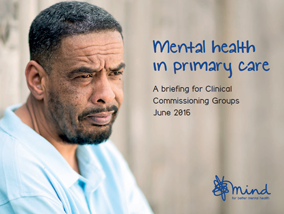 Click here to access Mind’s downloadable briefing for CCGs and Local Health Boards on how they can help improve mental health support in primary care.